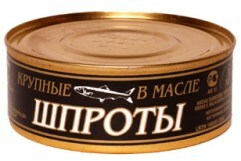 Welcome to MagazinOcean.com, Russian seafood lovers! For over a decade, Awers Inc. has distributed seafood to wholesale suppliers, distributors and retail stores. Then four years ago, Awers Inc. started its own internet-based store, Red-Caviar.com, as a means of selling the same excellent product directly to individual consumers. Since then, Red-Caviar.com has become quite well known in the Russian American community. Our mission - to deliver top quality caviar products at the lowest market price possible - helped to transform Red-caviar.com into a very successful company with thousands of return customers. Once, while traveling, I mentioned to a fellow traveler that my work was related to caviar. Immediately, he suggested that I purchase caviar from Red-Caviar.com. I simply laughed and told him I was quite familiar with both the company and its products. This steady growth in popularity has encouraged us to expand our range of goods and explore new business opportunities. At the same time, we never want to jeopardize the strong foundation and ideals on which Red-caviar.com was founded. After searching for the perfect product, one that we could offer at the lowest market price, we decided to add canned Russian seafood to our product list. We are happy to announce that we can now pass this product along to you, our customers who have made Awers Inc. one of the largest red caviar distributors in the United States. And this is only the beginning for MagazinOcean.com. Once we see a growing number of orders on these new products, we will be able to expand the range of goods we offer. We appreciate your support, and look forward to providing you with top-quality seafood products.